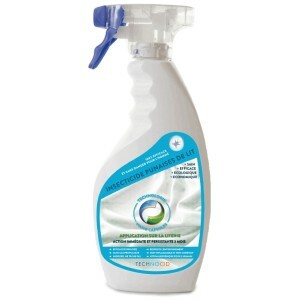 TECHNOCID bed bug insecticide eliminates all bedbugs which invade the habitat and especially the bedding. TECHNOCID be used inside or outside on any surface, odorless and tasks. Applies to curtains, bedding, sheets, clothing, walls and other media. Rapid and persistent effect over 3 months.